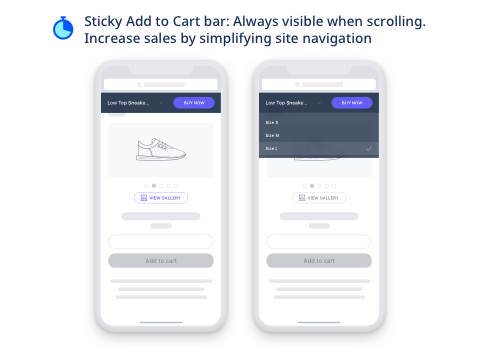 Adds a fixed bar with Add-to-cart button on the top/bottom of mobile screens while customers scroll up/down the screen. 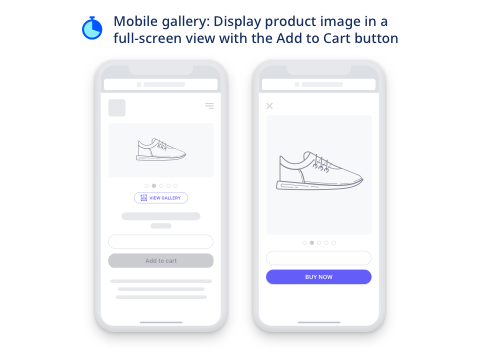 Shows a full-screen gallery view of product images so that customers can have the most detailed visual look of your products while being on their mobile. 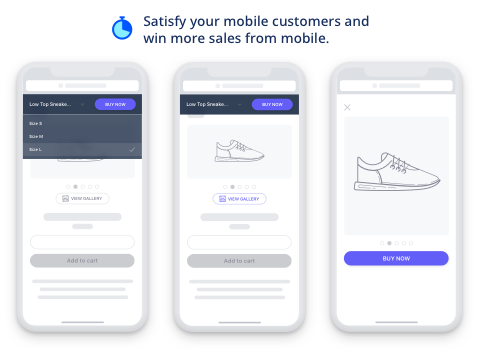 Optimizes the user experience on your mobile web, boost mobile conversion rates and sales. 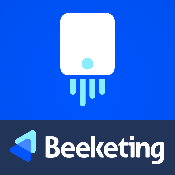 For questions use this phone number +1 (650) 666-0985 or send an email to hi@beeketing.com.